In the summer of 2004, Sergeant J.T. 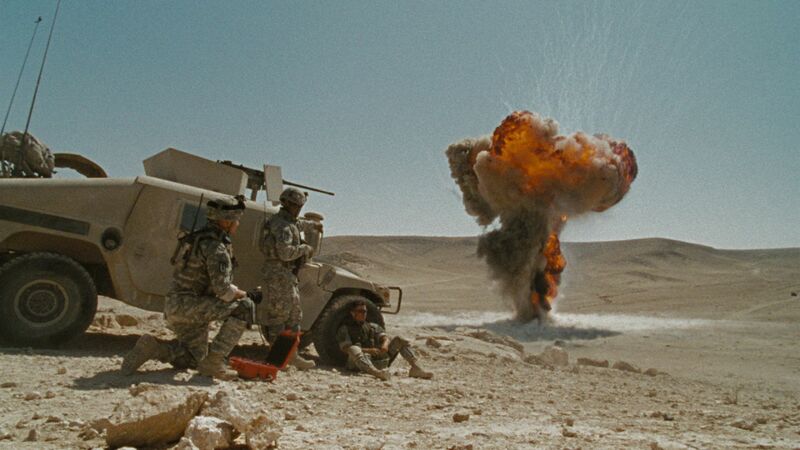 Sanborn (Anthony Mackie) and Specialist Owen Eldridge (Brian Geraghty) of Bravo Company are at the volatile center of the war, part of a small counterforce specifically trained to handle the homemade bombs, or Improvised Explosive Devices (IEDs), that account for more than half of American hostile deaths and have killed thousands of Iraqis. A high-pressure, high-stakes assignment, the job leaves no room for mistakes, as they learn when they lose their team leader on a mission. When Staff Sergeant William James (Jeremy Renner) takes over the team, Sanborn and Eldridge are shocked by what seems like his reckless disregard for military protocol and basic safety measures. And yet, in the fog of war, appearances are never reliable for long. Is James really a swaggering cowboy who lives for peak experiences and the moments when the margin of error is zero or is he a consummate professional who has honed his esoteric craft to high-wire precision? As the fiery chaos of Baghdad swirls around them, the men struggle to understand and contain their new leader long enough for them to make it home. They have only 38 days left in their tour of Iraq, but with each new mission comes another deadly encounter, and as James blurs the line between bravery and bravado, it seems only a matter of time before disaster will strike. 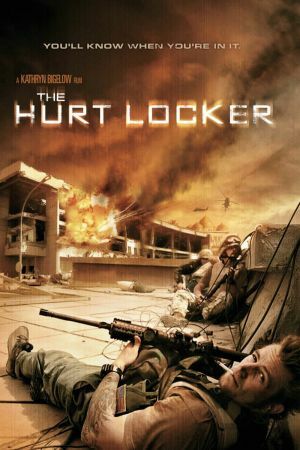 With a visual and emotional intensity that makes audiences feel like they have been transported to Iraq's dizzying, 24-hour turmoil, The Hurt Locker is both a tense portrayal of real-life sacrifice and heroism, and a probing look at the soul-numbing rigors and potent allure of the modern battlefield.